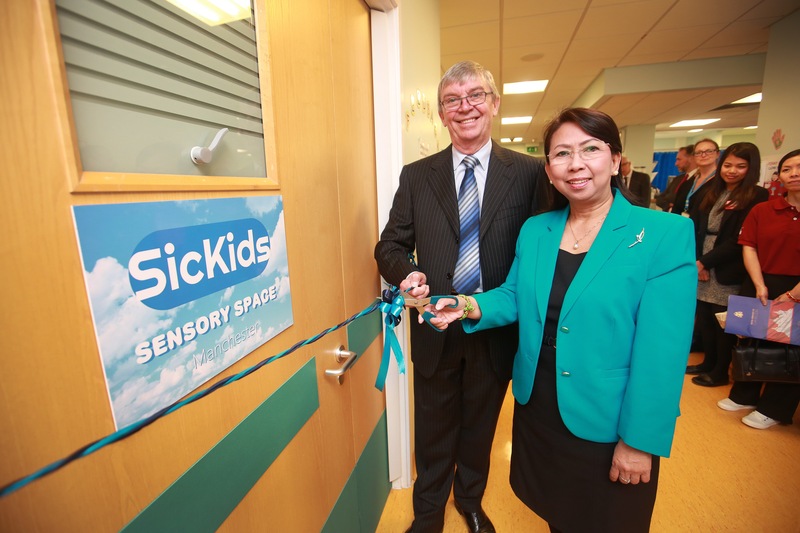 Today we held the grand opening of The SicKids Sensory Space at North Manchester General Hospital. Mr Barry Dixon CBE DL QFSM MIFireE, Deputy Lieutenant of Greater Manchester, performed the opening ceremony, alongside Her Excellency Dr Rathchavy Soeung, The Cambodian Ambassador to the UK. 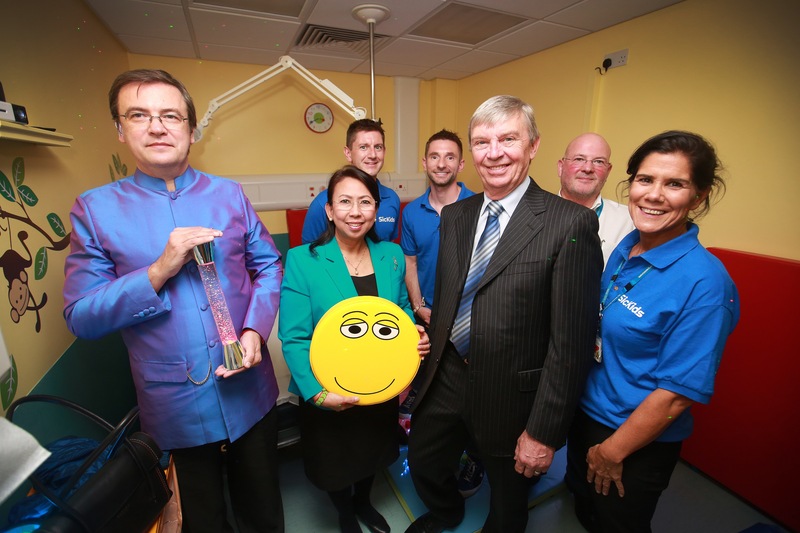 The sensory space is the first-of-its-kind in the region, and has been built thanks to the generosity of our supporters, The Duchy of Lancaster Benevolent Fund, The W O Street Charitable Foundation and The Pennine Acute Hospitals NHS Trust Children’s Emergency Department Endowment Fund. 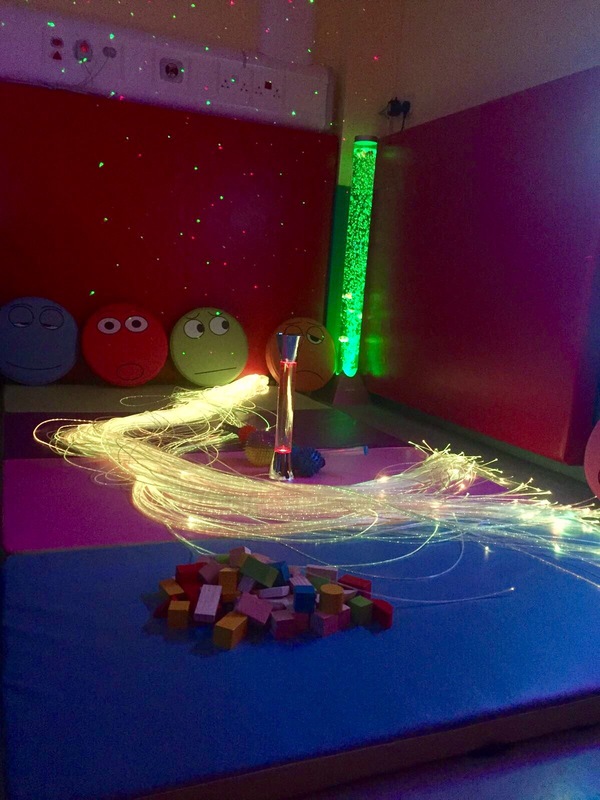 Sensory facilities are proven to support the development of the senses – like touch, hearing and sight – through cool things like special lighting, music, tactile objects and a calming environment. While many hospitals and health centres in the UK have similar facilities in their children’s wards, there are very few with 21st Century equipment within their emergency departments. Our vision is to support the health and wellbeing of children and young people in both the North West and in Cambodia, South East Asia. While the two regions are geographically and culturally divergent, we believe there are stark similarities and opportunities for health professionals in both countries to share knowledge and develop strategies to relieve sickness and enhance the wellbeing of children and young people. Because of that, in November 2017 we’ll open our second state-of-the-art sensory facility, this time at M’Lop Tapang, a non-governmental community project in Sihanoukville, Cambodia. We believe this will be the first such facility in Cambodia, and will offer life-enhancing opportunities for many hundreds of children and young people with developmental delay, which, due to its link to conditions related to poverty, is prevalent in Cambodia. In attendance at today’s grand opening was Her Excellency Dr Rathchavy Soeung, Ambassador Extraordinary and Plenipotentiary of Cambodia, who was keen to learn more about how children in Cambodia will benefit from a sensory space. M’Lop Tapang’s Medical Team Leader, Ngov Chanravy, who is visiting the UK this week as part of a career development opportunity co-funded by a SicKids grant, thanks to the Burdett Trust for Nursing, was also present. The SicKids Sensory Space at North Manchester General Hospital was designed by local children and their families, who volunteered to support the project with creative input and ideas to make the facility as welcoming, attractive and effective as possible. 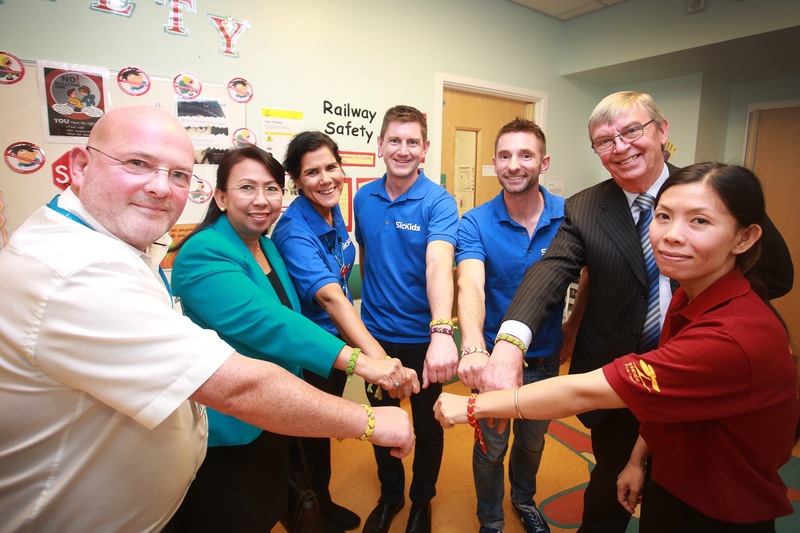 To symbolise the unique partnership between SicKids and the diverse communities in the North West of England and Cambodia, our Trustees presented the Deputy Lieutenant and the Ambassador with friendship bracelets. The colourful bracelets, are hand-made by parents of children attending the M’Lop Tapang facility in Cambodia. The sale of each bracelet, for US$1.25, helps to support street-living and street-working children, young people, and their families, and keep children in school. We’re still fundraising for our next Sensory Space in Cambodia, as well as future facilities in both the UK and Cambodia. Click here to support us.